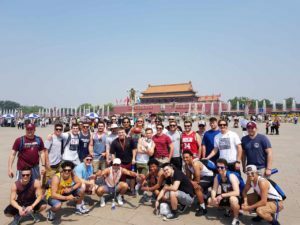 Global Football’s second venture into China in 2017 marked the 28th different nation visited by the Texas-based organization that took a total of seven NCAA and NAIA schools overseas for the experience of a lifetime. American football in its infancy in China, so the Titans were eager to learn from the Loggers as they met on the gridiron in Shanghai in a game featuring offensive fireworks from the visitors. Puget Sound threw six touchdowns and rushed for six more on the ground. Tanner Diebold led the way with 8 of 10 pass attempts completed for 124 yards and 3 touchdowns, while Nik Bernhardt was 4 of 8 for 43 yards and 3 touchdowns. On the ground, Diebold rushed 6 times for 29 yards and a touchdown, Vance Wood led all backs with 9 runs for 121 yards, Bernhardt had 2 caries for 10 yards and a score, Sean Barnes carried twice for 14 yards and a touchdown, Nathan Cooprider carried 6 times for 37 yards and a touchdown, and Aiden Santino found the end zone on both his carries and totaled 48 yards. There were receiving touchdowns for Sean Whalley, Nate Abernethy, Dustin Harrison, Marcus McGuinn, Michael Zabran and Santino. The Shanghai Titans have been in existence for three years in the American Football League of China. They recently won the 2017 AFLC Championship and they are known as a team with a good following and a good team culture. 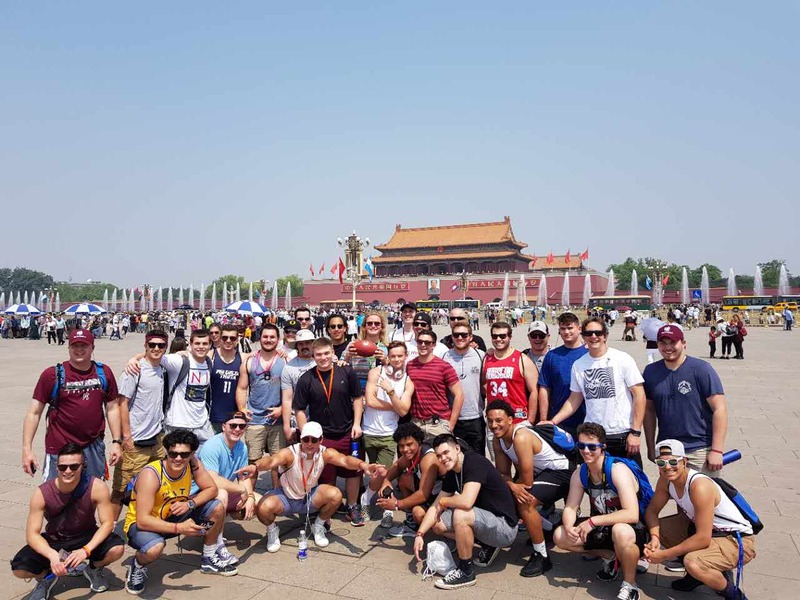 While in China, the group visited Tiananmen Square and the Forbidden City while in Beijing, the Great Wall of China, the Beijing Olympics Bird’s Nest Stadium and the Ming Tombs on the Sacred Way. They took part in a Taiji lesson and watched a Kung Fu show and traditional Chinese tea ceremony. Having taken the almost five-hour train journey to Shanghai, the Loggers went on a Huangpu River cruise, and visited the Yu Yuan Garden and Jin Mao Tower.